Greenlane Heights (Block G) is located over 1 acre of freehold land in Green Lane. It is surrounded by cool green hills which promise an atmosphere of clean comfort. Its central location offers easy access to the Bayan Lepas Industrial Zones, Georgetown City Centre and Mainland. 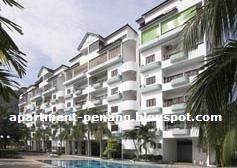 It is built on freehold land consisting of a 6-storey apartment block. Each storey houses 5 units. Every unit has a splendid city-view or hill-view both from the living room as well as the bedrooms. The "neighbours" of Greenlane Heights Block G are Taman Lembah Hijau, Kingfisher Series, Flamingo Series and Jay Series of Greenlane Heights. Built-up Area : approx. 1,770 sq.ft. Hi..May I know any got Lift provided in this condo?Stil got any unit for sell? Anyone know the information of this condo? I got interest for it. i) how many car park per unit? ii) how many price SF per unit? Greenlane height is now covered by TIME 100% Fibre Optic Network . TIME Fibre 100 Mbps Internet @ RM 179 Only. Get 1 Month FREE or RM 500 Rebate when you subscribe for TIME FIBRE INTERNET Service. Call now for more information . I will be happy to serve you.